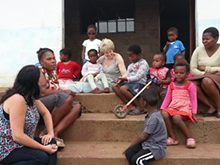 The Aim of Spirit of Africa charity is to raise money to create foster care homes for orphans, or children, in South Africa, who have no one to care for them or nowhere they can call home. We believe, whenever possible in keeping the children in their own cultural environment. We aim to ensure our children have access to affordable health care and inoculation programmes. Like you, we believe children deserve to have a childhood where they are safe, loved and cared for. 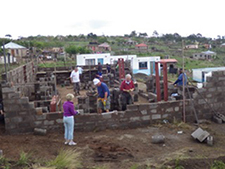 Our Ithembalihle project is in Sankontshe, Kwa Zulu-Natal in the Valley of a Thousand Hills. Ithembalihle is managed and sponsored, on a shared basis, with GAGA charity. 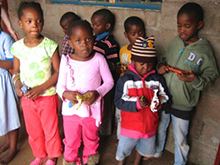 www.gaga-uk.org are a well established charity who have worked with Ithembalihle since 2010. 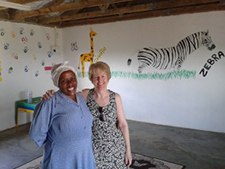 Thandiwe is a South African lady who moved into the valley to care for her community. She used her own money to build a church and house on a piece of land in Sankontshe. Her care and compassion soon drew many needy children and adults to her home. 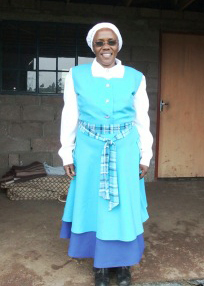 Because of your donations Spirit of Africa now directly employs a House Mother to assist Thandiwe. You have enabled us to provide a safe and secure home and education for 16-19 children. 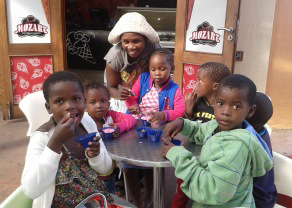 Some of our children stay permanently at Ithembalihle for others their stay, in our care, is more temporary. Our project has a visit once a month to establish that the children's needs are being met and to ensure your money is being used correctly. A Trustee also makes a visit twice a year. Thandewi started a pre-school in 2011 but the children were forced to meet in one of the dormitory class rooms. 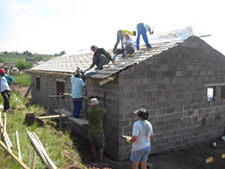 In October 2013, along with GAGA our partnership charity, a group of six volunteers went out to build a purpose built school. What they and three local builders managed to achieve in a few weeks was remarkable. 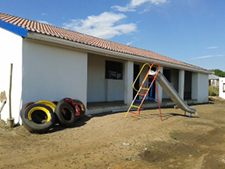 When the new school year began in January the pre-school, which has two classrooms, was complete and fully functional. 40 children from the surrounding area now receive the first steps in education. Your donations made this possible thank you.